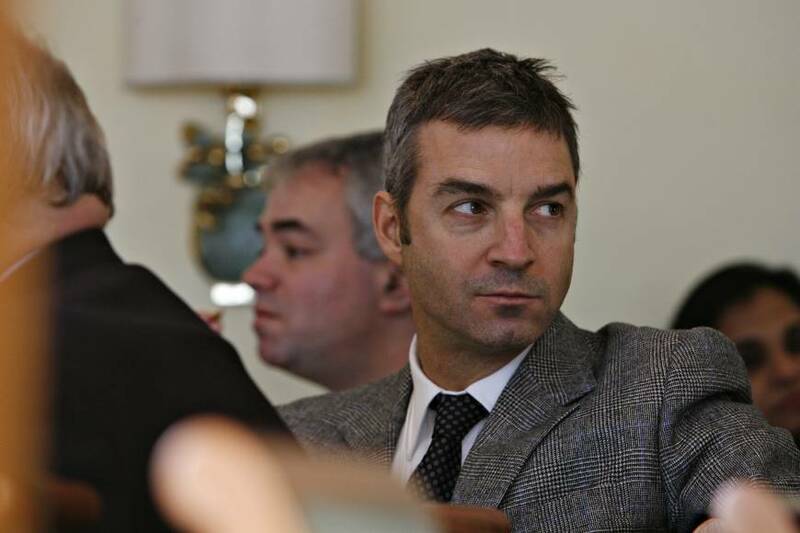 Billionaire Daniel Loeb is starting to make a habit of looking for bargains in Japan. In his fourth foray in two years in the country, the New York-based activist investor has taken a stake in Suzuki Motor Corp. The investment comes after Loeb’s Third Point LLC pushed for change at robot-maker Fanuc Corp., Sony Corp. and jet engine-maker IHI Corp.
Loeb has described a shifting zeitgeist in Japan, driven by Prime Minister Shinzo Abe’s efforts to improve corporate governance. While disclosing its Suzuki investment in a letter to shareholders, Loeb extolled Abe’s push for new governance practices and for encouraging companies to deploy cash to help reinvigorate the country’s economy. Third Point predicted a positive end to a more than four-year dispute with Volkswagen AG that it says has “paralyzed” the Japanese carmaker. The New York-based fund also said the company’s Maruti Suzuki India Ltd. unit has “significant room” to expand profit margins. The fund also disclosed last year it had taken a stake in billionaire Masayoshi Son’s SoftBank Group Corp., seeking long-term value without agitating for changes such as asset sales. Suzuki, based in Hamamatsu, west of Tokyo, had been run for 37 years by Osamu Suzuki until June 30, when he ceded the role of president to his 56-year-old son Toshihiro. Osamu, 85, continues to be responsible for finalizing arbitration with Volkswagen that began in November 2011. The two have accused one another of breaching an agreement, which was meant to supply Suzuki with technology and provide Volkswagen with wider access to the Indian car market. Suzuki has enough cash to buy back the 19.9 percent stake held by Volkswagen if it succeeds in ending the failed partnership, or will find a way to work together with shareholders if the German carmaker is able to keep its investment, Third Point said. “With a resolution to the arbitration finally on the horizon and the improving cyclical tailwinds to its dominant Indian business in place, Suzuki seems undervalued today,” the fund said in the letter. Suzuki shares have risen 23 percent this year, outpacing the 18 percent gain in the benchmark Topix index. Maruti Suzuki rose 2.2 percent as of the close Mumbai trading Monday. The Japanese carmaker should be able to improve corporate value by following its midterm plan, Suzuki Managing Officer Masahiko Nagao told reporters in Tokyo on Monday, when asked how the company plans to interact with Third Point. Loeb didn’t immediately respond to an email seeking comment sent outside regular business hours. 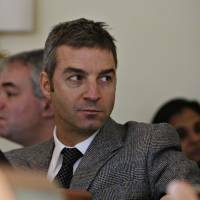 Loeb had mixed success tangling with Fanuc and Sony. Fanuc, a secretive industrial robot-maker, said in April that it would return more cash to shareholders, just as Loeb had requested when he announced a stake in February. The company said its dividend payout ratio would be 60 percent starting in the year ended March 31, compared with 30 percent for the previous year. “What we have yet to see is a simple process for unlocking the enormous amount of excess cash that is sitting on the sidelines,” said Ed Rogers, who advises funds-of-hedge-funds as Tokyo-based chief executive of Rogers Investment Advisers. The combination of Abe’s push on structural change and steps by activist investors “will probably yield the best results that we have seen in decades,” he said. With Sony, Loeb’s suggestions that the company spin off its movie business and cut costs went largely ignored. Still, Third Point said in October 2014 that it earned 20 percent on its $1.1 billion investment dating back to May the previous year. Loeb, who has built a reputation for shaming U.S. corporate executives into quitting or changing tack, said in February that he would try a softer approach in Japan. That strategy continued in Third Point’s July 31 letter, with Suzuki’s handling of its conflict with Volkswagen being the lone point of criticism lobbed at the Japanese carmaker. The fund said in its letter that Suzuki’s assets in India are worth more than the entire company’s market capitalization. It also praised Maruti Suzuki’s ability to gain market share in India with new models in higher-end segments and its dominant dealer service network. Third Point sought to separate itself from activist investors who have failed to crack Japan’s companies in the past. One of the first was T. Boone Pickens, who was thwarted in a 1989 bid to win a seat on the board of a Toyota Motor Corp. supplier Koito Manufacturing Co.